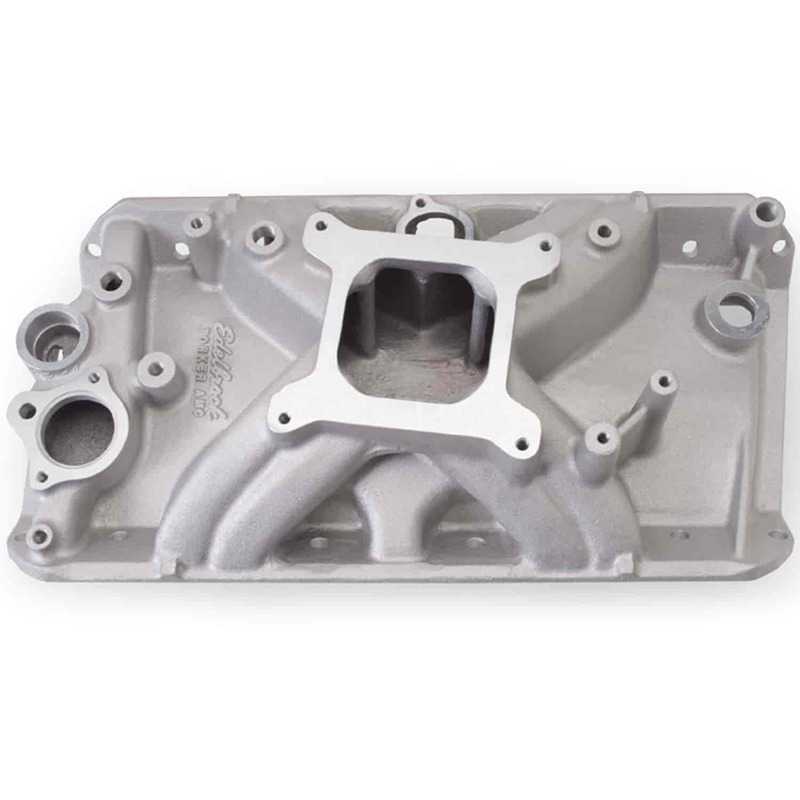 Designed for street and race 360-390-401 c.i.d. V8 engines. Manifold not equipped with EGR. Manifold will not accept stock Motorcraft spread-bore carburetor. Not recommended for 290 or 304 V8s. Includes standard oil fill and PCV provisions. Port exit dimensions: 2.15'' x 1.04"
Bracket p/n 350-8034 required for 1979 and later vehicles. The Edelbrock Torker manifolds for AMC 343-360-390-401 c.i.d. V8 engines are single-plane, low profile designs that produce gains in top-end horsepower at high RPM with adequate throttle response in high-performance street and race applications where hood clearance is limited. The Torker manifolds are not mileage or emissions related manifolds but do include standard oil fill and PCV provisions.